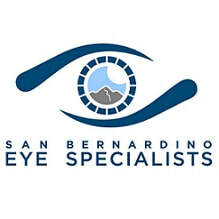 San Bernardino Eye Specialists is a family practice of optometry and ophthalmology that has proudly served San Bernardino and the Inland Empire for over 35 years. Our optometrist and ophthalmologist provide comprehensive vision care, offering complete eye exams for glasses, contact lenses, and ocular health screenings and treament. Because our ophthalmologist is on-site, our patients avoid the inconvenience of additional referrals when seeking treatment for cataracts, diabetic eye disease, macular degeneration, and glaucoma. We usually accept walk-ins, be it for a regular check-up, contact lenses, pink eye, foreign body removal, and more!